Each 3D FUSION metal printing system is designed for the rapid transition of metal printed parts from prototype to production based on a common family of geometric shapes and application specific metal type. The process starts with a comprehensive review of 3D CAD files and part specifications optimizing the XYZ build-plate dimensions for minimum powder usage. Based on the part specification, the company selects the best-fit building block technologies from it 3D Fusion library of patents, licenses, proprietary metal IP and next-generation hardware representing the fastest path to MRL 10 manufacturing production readiness.Desktop Metal printing specialist acknowledge that current generation metal printing systems manufacture metal printed parts with wide unit-to-unit variations with very few companies announcing MRL6 capabilities. Each of the company’s 3DFusion building block technologies incrementally eliminate the system processing conditions that contribute to the wide fluctuations of metal printing parts from the same machine and from machine-to-machine. Direct Drive Motion System—the laser head moves with the highest possible acceleration and smoothness, reducing stress and vibration on the carriage frame and lowering maintenance requirements. Coaxial vision system and other sensors allow real-time monitoring of operation. 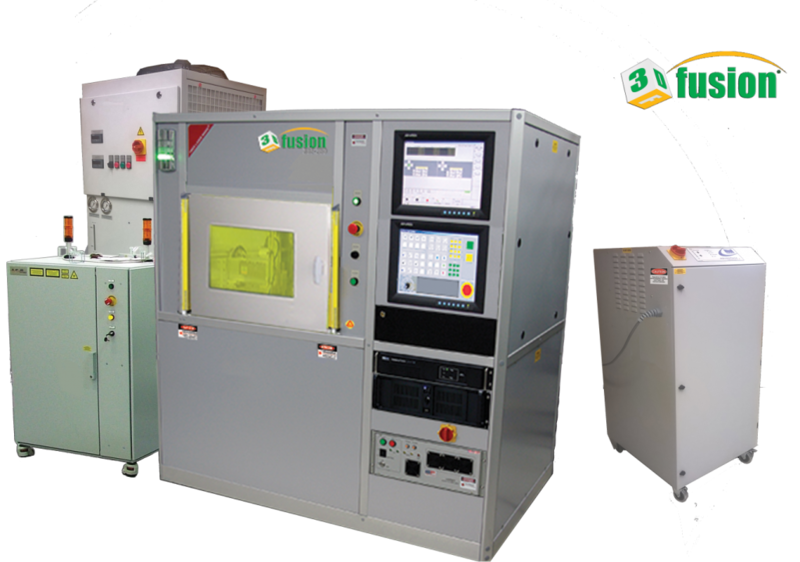 For the best performance Laser Photonics systems are optimized for nano powder with a certain specifications. To ensure consistency Laser Photonics sells a range of nano powders to ensure the best performance of our precision 3D laser sintering process. 3D Fusion represents the company’s continuously growing umbrella of building-block technologies supported by patents, licenses, next-generation hardware and proprietary metal processing IP dedicated to designing specialized 3D metal printing systems for manufacturing purposes representing the fastest path to MRL10 production readiness. Metallic powders include Aluminum AlSi10Mg, Stainless Steel 316L and 17-4PH, Titanium Ti6Al4V, cobalt-chrome (ASTM75), Inconel 718 and 625. Fonon’s continuously expanding portfolio of specialized powder materials are certified to work well with 3D BTS metal printing systems. Metal printing has a wide range of applications in aerospace, automotive, military/defense, space, and medical.